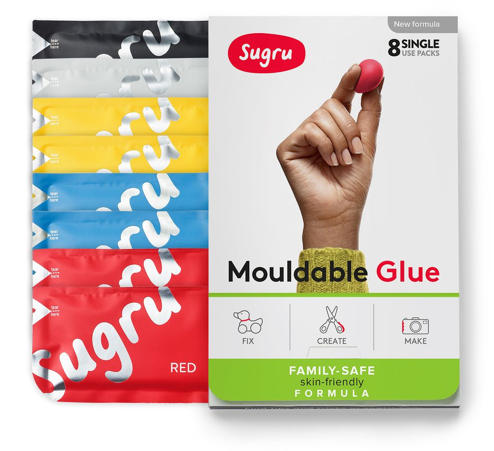 Sugru can be removed from non-porous surfaces: simply cut off the bulk of it off using a knife or scalpel. You can then remove the residue with your nails and some tissue. If you stick Sugru to a porous unglazed ceramic surface, or unvarnished wood, it will be removable but will leave a stain. From fabrics and leathers – once you&apos;ve worked Sugru into fabric, it will be very difficult to remove, and will always leave traces.